While I've had to significantly dial down my participation in Rude Boy George, due to family and work commitments, I'm still partially involved in the band (and even was asked to come on stage to sing during their version of "Kids in America"). So, while I can't really review their set here, I'll let these two videos convey how amazing they were last night and why they deserve your love. Jerry Dammers in MOJO, Rhoda Dakar in Vive Le Rock! Even though it's a fairly unremarkable magazine shop on Madison Avenue in one of Manhattan's wealthiest neighborhoods (I've seen Donald Fagan in there a few times), it carries two music magazines essential to any self-respecting Anglophile: MOJO and Vive Le Rock! (One of the guys behind the counter told me that some record executive who lives nearby asked them to carry these publications, along with NME, so they could keep up on the British music scene.) This month, each magazine is running a feature on a key 2 Tone-era musician: MOJO has a terrific interview with Jerry Dammers (on the occasion of The Specials, More Specials, and In the Studio being reissued in deluxe CD packages), while Vive Le Rock! catches up with Rhoda Dakar (who recently performed at the 2015 London International Ska Festival and released the stellar Rhoda Dakar Sings the Bodysnatchers album--read The Duff Guide to Ska review of it here). Rhoda Dakar (reminiscing with Andy Peart about The Bodysnatchers' seaside tour with The Specials in the summer of 1980): "What was brilliant about that tour was that the Go-Gos were on it as well. So, for the first and only time in my experience, there were as many women as men on a tour. That was brilliant because it really changed the dynamics of everything. I remember there was a drinking contest, girls against boys. We put up our champion and they put up theirs and we won (laughs). It was really comfortable and we weren't marginalized. It was a crazy tour. All these old seaside venues where people fell through stages which were collapsing and there were times when you could see the sea through the floor." Jerry Dammers (responding to the comment from Lois Wilson, "You once said your aim with The Specials was nothing short of revolution. "): "I spent my time growing up in Coventry in the '60s and '70s seeing the working-class youth bashing each other up, whether it was bashing immigrants or bashing each other at football. It was only a minority, of course, but it did seem like most districts in Coventry had some sort of gang, and some of the pubs were notorious for people glassing each other. The media was winding this up all over the country, so some kids thought that was what they were supposed to do. Meanwhile, the establishment that was actually keeping them down just carried on getting richer like they always had. The hippies wanted to form a better "alternative" society, but that just alienated some people. I wanted to change all of society from within, which was a much harder and more risky thing to try and do. The amazing thing is that it worked at all, even to the small extent that some people say it did. 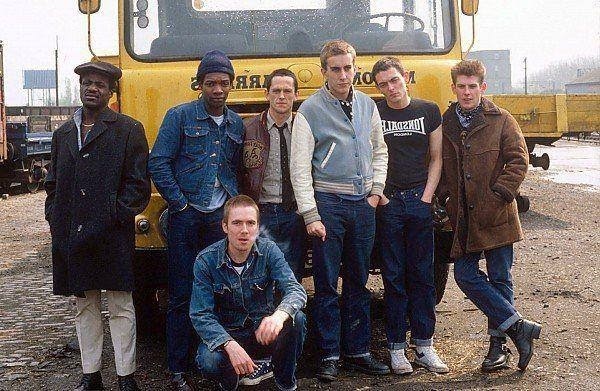 I often meet people who tell me that if it wasn't for The Specials they would have been racists or whatever, and that they turned to more socialist ideas because of The Specials." Jerry Dammers (responding to the question, "What initially sent you down the left-wards path politically? "): "Well, hopefully that was some sort of intelligence or common sense. The general idea that children are still starving, or dying of preventable diseases, or getting blown to pieces, is not a good thing. Even if there was such a thing as "trickle down" from capitalism, which there never has been, and never will be, what an absolutely horrible idea, that some people are only worthy of what might happen to "trickle down" from the rich." Legions of (mostly) older music fans will be lining-up outside of your local mom and pop record shop this Saturday morning (April 18, 2015) to partake in the twice-yearly celebration of indie record stores and vinyl known throughout the USA, UK, Germany, Belgium, Netherlands, France, Mexico, Italy, and Spain as Record Store Day. While I may grouse a bit about the pricey-ness of these limited-edition RSD releases (and how the UK RSD releases are consistently better than those available in the USA), each year you can find me in a record store or two (or three) on this day, hoping to pick up a few of that year's crop (usually new wave or post-punk related releases) that caught my attention. Willie Williams "Armagideon Time" b/w Marcia Griffiths "Feel Like Jumping"
The Skatalites "Addis Ababa" b/w The Eternals "Queen of the Minstrels"
Dawn Penn "No No No" b/w Dub Specialist "Hooligan (Dub)"
The Mad Lads "Ten to One" b/w Jackie Mittoo "Totally Together"
Michigan and Smiley "Nice Up the Dance" b/w "The Wailers "Simmer Down"
2) Demon Music Group is issuing The Beat's The 7" Singles Collection. This box set contains thirteen Beat vinyl 45s, from their 2 Tone debut, "Tears of a Clown," to their last Special Beat Service single, "Ackee 1-2-3"--and everything in between: "Mirror In The Bathroom," "Hands Off... She’s Mine," "Best Friend," "Too Nice To Talk To," "Doors of Your Heart," "All Out To Get You," "Hit It," "Save It For Later," "Jeanette," "I Confess," and "Can’t Get To Losing You." 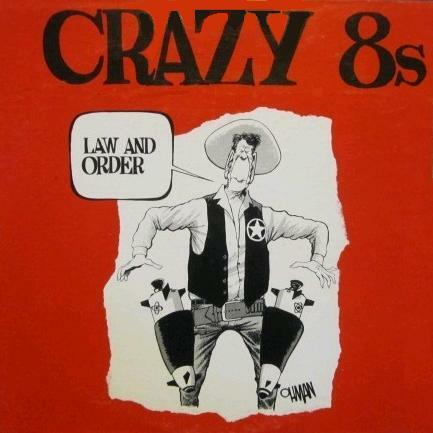 A 16-page booklet is included, presumably about the band and each single. Only 1,000 copies of this set are being pressed and it's a UK-only release. 3) Salvo is issuing Madness' "Lovestruck" (from 1999's Wonderful) b/w"Le Grand Pantalon" (a fantastic, reflective version of "Baggy Trousers" that was used in a 2011 Kronenbourg 1664 beer ad and was included on the 2013 A Guided Tour of Madness box set). Neither track has been available on vinyl before. Only 1,000 copies of this single will be for sale in the UK. 4) Trojan Records will be releasing a 60s ska/reggae compilation with cuts from Desmond Dekker and The Aces, The Upsetters, and the like. Titled Rude Boy Rumble, this 12-track LP will feature cuts chosen by Tom "Papa" Ray AKA The Soul Selector (also the owner of Vintage Vinyl in St. Louis, MO). This release will be available in the USA. Happy record hunting this Saturday! On one of my recent lunchtime forays to my favorite used record store near work, I came across a very good plus copy of UB40's Present Arms (with the 12" of "Don't Walk on the Grass" b/w "Dr. X" included) for a mere $5.00! I'd never owned or known much about this 1981 album, apart from its amazing "One In Ten" single--so I snatched it up (the price was certainly right). In a fortuitous coincidence, Present Arms has been on my radar lately, as I'd seen that it's scheduled for a deluxe, three CD re-issue in the near future (though no firm release date has been announced yet); obviously, it was time to become acquainted with the album. I was one of the many teenage Americans who were introduced to--and became crazy about--UB40 (and reggae) through their 1983 album, Labor of Love, which, as everyone knows, was a phenomenal tribute to many of the JA reggae artists who had inspired them as they were growing up in the 70s in the UK (if I remember correctly, the tracks that WLIR played heavily in their new wave mix were UB40's covers of Eric Donaldson's "Cherry Oh Baby" and--of course--Tony Tribe's version of Neil Diamond's "Red Red Wine"). I read somewhere that UB40's homage to their musical heroes ended up significantly rewarding many of the original composers; I wish I remembered which artist it was, but he was able to buy a large house with the songwriting royalties. I have a distinct memory of first listening to Labor of Love (back when you scoured the record sleeve for clues/info about the band and music) and being kind of delighted when I figured out that each part of the album's cover illustration referred to a song therein (I wasn't always so quick on the uptake...). Perhaps most momentously, Labor of Love marked the first time I'd heard a Laurel Aitken cut, as he wrote, originally performed (as the deejay Tiger), and produced the bittersweet "Guilty" ("...of loving you"). A little over a decade later, I'd have the incredible honor and pleasure of working with Mr. Aitken while I was at Moon Records. From 1983 through 1986, I caught UB40's fantastic live show every time they performed in NYC (usually outdoors on Manhattan's Pier 54 on the Hudson River, right next to the U.S.S. Intrepid, always in a massive cloud of cheeba, cheeba, y'all) and eagerly bought each new US release: Geffery Morgan, Little Baggariddim, and Rat in the Kitchen (all of which contained great material and received strong airplay on WLIR). But, in the first half of the 80s, Signing Off and Present Arms hadn't been given proper US releases and I never came across imports of them at that time. I did pick up the North American-only compilation UB40 1980-83 right after buying Labor of Love, but only some of the songs connected ("King," "One in Ten," "I Won't Close My Eyes," and "Dubmobile"). Overall, UB40 1980-83 seemed disappointingly gray and dour (at the time, I didn't fully appreciate just how bad things were for the working class and poor in the UK under Thatcher after she privatized many government services, made deep cuts to the social safety net, and waged war on the unions), and not all of the songs included were winners (particularly in contrast to the ace material they covered on Labor of Love). So, in my adolescent rush to judgement, I wrote off UB40's first two albums as hit-or-miss affairs. Listening to Present Arms today, I'm struck by how much the band had progressed since Signing Off. The songs, performances, and production on Present Arms are much improved--and it's as politically incisive as their debut, if not more so. When Geffery Morgan and Rat in the Kitchen were released, I loved finding that UB40 were writing sharp and catchy songs about political, social, and economic injustice that, like the music of 2 Tone, made you want to dance. But after this period, the fire in UB40's collective gut seemed to go out and they mostly produced albums of reggae pop covers (which did bring them many hits and financial success--over the years, they've sold over 70 million records!). Having said that, 2005's Who You Fighting For? (the anti-Iraq war title track is one of the best songs they've ever written) and 2008's TwentyFourSeven (see "Middle of the Night," which may be an anti-extraordinary rendition song) contained a lot of good-to-terrific original material and showed that the band hadn't completely abandoned their original mission statement or forsaken their concern for the wider world. Sadly, after much internal strife, UB40 recently fragmented into two versions of the band...(which may be the the reason the re-issue of Present Arms is delayed). Present Arms' angry/mournful title track was certainly not an attack on British soldiers, but decried the terrible lack of opportunity--brought about by Thatcher's policies--that left many young men with no other way to earn a living than to join the army, become dehumanized in the process of learning to obey and kill, and not necessarily being used to defend England, but to shield the interests and do the bidding of the rich and politically-connected. They'll teach you to ignore the screams and tears"
Sardonicus keeps smiling to the end"
The powerful and insistent "One in Ten" was directed at Prime Minister Margaret Thatcher and her policies that favored the rich and powerful at the expense of the working class and poor. It's a potent protest song that gives voice to the disenfranchised and conveniently forgotten and, in doing so, reminds the more fortunate of us that we're not off the hook. But it's also a pointed commentary on how the process of categorizing people by the problems they're experiencing and tallying them up can numb/distance us from the real lives and horrific suffering behind the figures. This, in turn, can allow policymakers and those with power to think of large groups of people in great need as abstract construct--which can be more easily ignored while the resources that could help them can be diverted elsewhere. Will no one spare a dime? Don't let it pass you by! To see them all take flight"
The irresistibly cheery, singsongy "Lambs Bread" is a plea of sorts for the legalization of marijuana (and elimination of the criminal drug trade) and the excellent "Don't Walk on the Grass" presumably makes the same case. The mysterious "Dr. X" (named after this movie?) is another incredible, bubbly, and lushly melodic instrumental reggae cut. 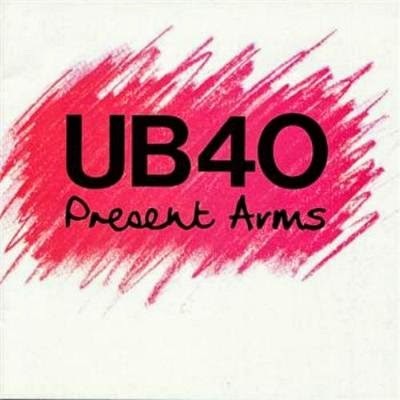 Next on my list to (hopefully) find in the bins: Present Arms in Dub!